Mezco Toys: Old Man Logan 1/12 Scale Figure | Nerd Much? It isn’t too hard to find a fan of the classic Wolverine from X-Men. With a fiery personality and claws that tend to put an end to any argument, there is certainly a lot to like. However, if you find yourself more drawn to the alternate Old Man Logan from Earth-807128, well then, we have found the perfect figure for your collection: the new Mezco Toys Old Man Logan figure. The latest addition to Mezco’s one:12 collective is this Old Man Logan figure which is officially licensed Marvel merchandise. Not the type to leave your figures in the box? With over 30 points of articulation, the opportunities for posing this fierce figure are nearly endless. Old Man Logan even comes with six interchangeable hands – you can choose from posed hands, a set of fists, or clawed fists. You can even go crazy, and feel free to use his clawed fists more than Old Man Logan ever did. He even comes with a baby Hulk to carry, and if you are too distracted with the numerous articulation points and interchangeable hands, then put the baby hulk in his carrying backpack (included). Standing 6 inches tall this figure will fit in well in any collection or even as a stand-a-lone piece of nerdy home décor. Featuring a real fabric outfit with intricate detailing, this figure really brings the character we love to life. 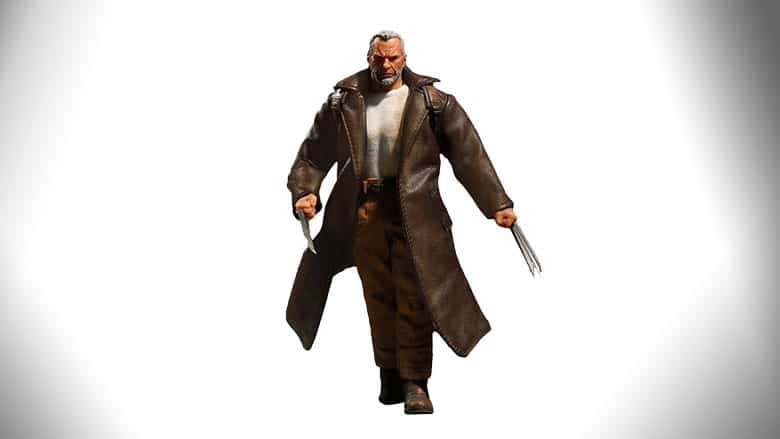 This Old Man Logan is wearing a leather look overcoat, white t-shirt, sculpted belt with decorative buckle, workman pants, cowboy boots, and even a removable hat. Also included, a display base featuring the X-Men logo, as well as an adjustable display post. So, this figure is sure to look good no matter where it goes. Available now at Thinkgeek for $79.99 – don’t miss out, order yours today!